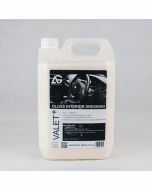 The Auto Finesse Tyre and Trim Applicator is the clean and easy way to apply Satin, Gloss or Revive to your trims or tyres. 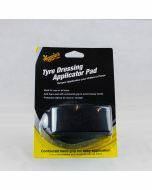 The sponge applicator has been designed to make life easy with trim and tyre gels. The green section of the sponge is slightly firmer to make it easier to hold and spread the gels, whilst the grey area of the applicator is softer for going over a manufacturer tyre marks. The pointed ends can be used to get into tighter areas, to ensure an even coverage.